Terry Melcher dies. Terry Melcher passed away, legendary artist Terry Melcher who worked with The Beach Boys, The Byrds, Ry Cooder. Terry Melcher, of the Surfin'-era singer, songwriter, producer and recording executive who produced among others the Byrds' No. 1 hits "Mr. Tambourine Man" and "Turn, Turn, Turn" and co-wrote The Beach Boys' well-loved "Kokomo," (from "Cocktail" Soundtrack movie that feat. Tom Cruise) has died Friday night at home, in Beverly Hills after a long battle of a melanoma cancer, his publicist Linda Dozoretz said. Terry Melcher was 62. Born Feb. 8, 1942 in New York City to famous actress and singer Doris Day and her first husband, trombonist Al Jorden, Terry Melcher was adopted 10 years later by her third husband, Martin Melcher, and took his surname. Terry Melcher was really known for his work with The Beach Boys, Ry Cooder and also of course the Byrds. Terry Melcher performed on the Beach Boys classic "Pet Sounds" album (on backing vocals). Terry Melcher was a musician, played piano, wrote lyrics and has composed music, produced tracks, albums as well as concerts like the great Monterey Pop Festival. 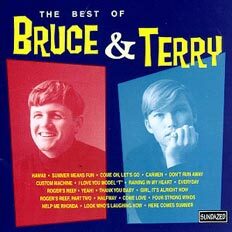 In the early 1960s, Terry Melcher and Bruce Johnston have formed a vocal duet Bruce & Terry who had hits like "Custom Machine" and "Summer Means Fun". Later, Bruce Johnston will join The Beach Boys. They also create another band together The Rip Chords who feat. a Top 10 hit "Hey, Little Cobra". You can find this Surfing Era material in the Best Of album "Hot Rod Hits". He wrote also Surfing songs with Randy Newman. By the mid-60s, Terry Melcher has joined the staff of Columbia Records and worked with The Byrds and helped them to produce Bob Dylan's "Mr. Tambourine Man" and Pete Seeger's "Turn, Turn, Turn," as well as later albums including "The Ballad of Easy Rider". Terry Melcher was an executive producer of her CBS television series, The Doris Day Show from 1968 to 1972, and engineered her return to television in the 'mid-1980s with the show Doris Day's Best Friends. Terry Melcher was also associated with the murders carried out by Charles Manson in which actress Sharon Tate was slain. Melcher was reported to have turned down Manson for a recording contract. He had rented the home where Sharon Tate was murdered and is thought to have been Charles Manson's real target on that evening. 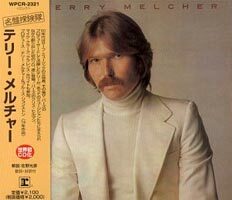 Terry Melcher has released two solo albums: Terry Melcher (1974 - Reprise Records) and "Royal Flush" (1976 - RCA Records). Terry Melcher leaves behind his wife Terese, son Ryan Melcher and his 80 year old mother Doris Day. 7. I Love You Model "T"
The Best Of Bruce & Terry CD: ORDER IT NOW. Terry Melcher "Terry Melcher" CD: ORDER IT NOW. 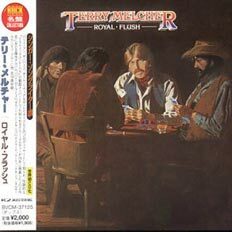 Terry Melcher "Royal Flush" CD: ORDER IT NOW. Beautiful beautiful memories of Terry Melcher I will always have. His music, particularly his producing and cowriting with Paul Revere and the Raiders is on my top played cd list even today. You are forever a star in rock and roll heaven! I'm very saddened by the news of Terry's passing. The music industry has lost one of its great pioneers of rock and roll. He painted pictures with sound and left behind a very impressive body of work, not the least of which is the long hit list of Paul Revere & the Raiders. It's appalling that the media finds it necessary to downplay the importance of Terry's masterful contribution to the Raider legacy. (Don't mess with history, you bastards!) The 16 hit singles and 7 gold albums is not only a stellar acheivement by one of the best producers of the era, but also worthy of proper and respectful documentation by the media at this time of sorrow and remembrance. I'm proud to have called Terry my freind. He'll always be my mentor and role model as a producer who showed me the sound spectrum as I've never SEEN it before. Yes, that's right! He could visualize the sonic spectrum, layered & stacked on a transparent screen between the speakers like floating balloons in a 3-d movie. He was awesome! I'll long remember the powerful influence he had on me and on my bass playing. He will truly be missed. May God rest his soul...My sincerest condolences to his wife and child, and his mother Doris Day. I'm sure they're devastated. I'm so sorry for your loss.